Young actor Park Bogum, who starred in the hit series “Reply 1988” and “Love in the Moonlight,” has been chosen in a poll as the number one TV drama actor for 2016. The 23-year-old star garnered 35.2% to top the yearend Gallup Korea poll, which asked 1,700 Koreans aged 13 and above to pick their top drama actors of the year. He edged out Song Joong Ki, the star of the hit drama “Descendants of the Sun,” who placed second with 28.1%. 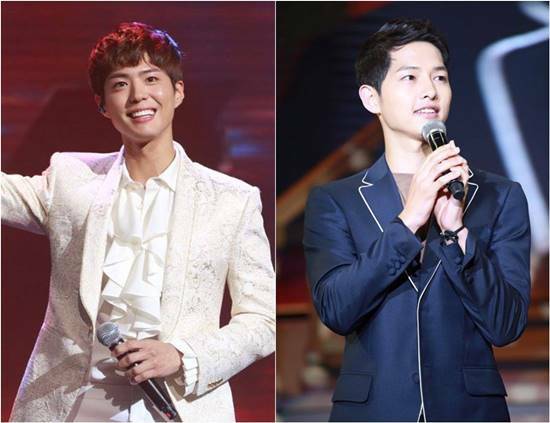 Song Joong Ki’s co-star Song Hye Kyo is third with 12.6 % while Kim Yoo Jung of “Love in the Moonlight” placed fourth with 8.2% and Jo Jung-suk of “Jealousy Incarnate” finished fifth with 4.6%. Actress Ra Mi Ran, a “Reply 1998” star who is currently in the drama “The Gentlemen of Wolgyesu Tailor Shop,” got sixth place with 3.4%. The seventh to tenth places are Gong Hyo Jin of “Jealousy Incarnate,” 3.2%; Go Doo-Shim of “Our Gap-soon,” 3%; Jun Ji Hyun of “Legend of the Blue Sea,” 2.9%; and Kim Hee Ae of “The Second Last Love,” 2.6%.